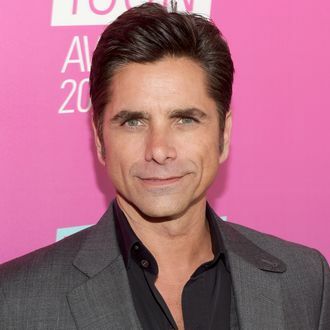 In tweeting his displeasure at Fox’s cancellation of his show Grandfathered after its first season, John Stamos has actually performed the most grandfatherly act of his life. Stamos, preternaturally attractive grandpa, yelling at the neighbor kids to get their cancellation off his lawn before he turns on the shade hose. But the hose, the hose is on. John Stamos: Maybe not the grandfather we deserve, but certainly the grandfather we need. G.I.P.